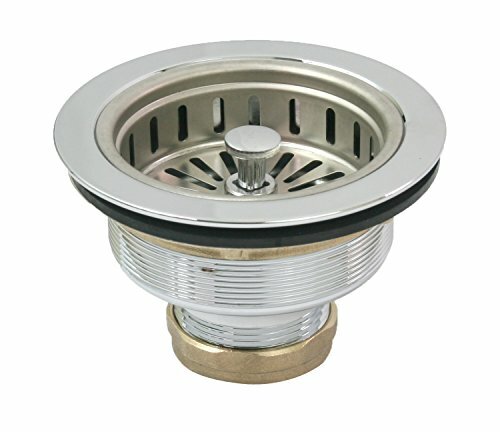 EverFlow 7513 Kohler style heavy duty sink strainer fits sinks from 3-1/2 inch - 4-inch openings. Built with heavy duty chrome plated and a solid brass body which gives you the perfect choice for your next kitchen plumbing project. This sink strainer signifies a stunning union of style, elegance, and attractiveness. It's Commonly used with kitchen, laundry, or bathroom sinks. It prevents unwanted debris and foreign objects from slipping down the drain. HEAVY DUTY: This Everflow Sink Drain Assembly is made of Heavy Duty Stainless Steel which is built to last! VIGO Stainless Steel Bottom Grid, 12.25-in. x 14.25-in.